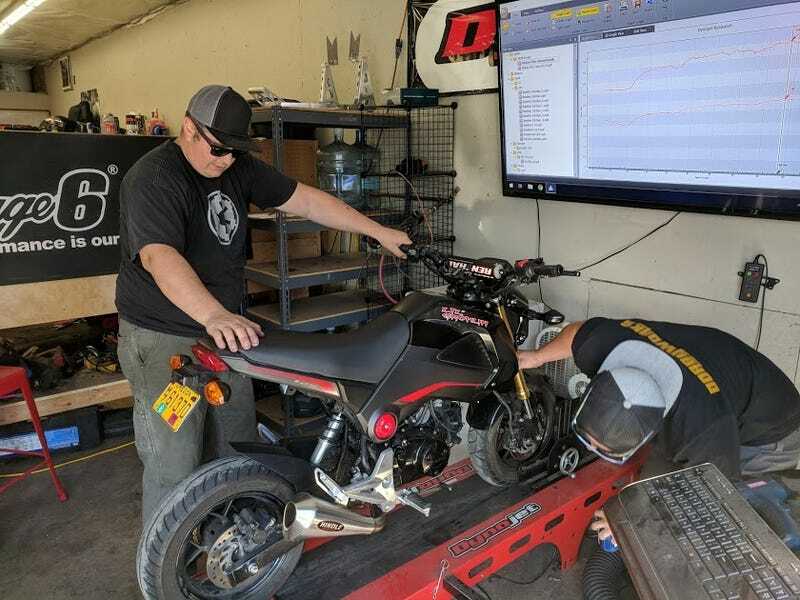 A local small displacement specialty shop was doing a dyno day Saturday, so I decided to bring the Grom. I was hooked up to my ECU via my phone and made a few changes between the red and blue runs. Red run is the timing map I’ve been running on the street, blue run is with about 2 degrees of timing pulled out of the top end. It looks like there might be some room to gain power by giving it a few more degrees up top from the red timing map, but I had a tank of 87 and didn’t want to risk it.